The v9990 hasn't been supported much in the MSX scene. It seems though that with the latest release of the Brazilian Powergraph being a Graphics9000 compatible videocard for MSX, the v9990 regained some interest and people have actually started making software for this awesome videochip. Bitvision, creators of Arcomage, is currently developing a very promising shoot'em up game for the v9990, codenamed INTRUDER. 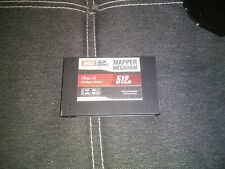 Interestingly, the game runs on a plain MSX1 computer with at least 16kB RAM. 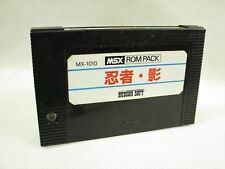 It is going to be released as a ROM which would make it not only the very first finished shoot'em up game for v9990, but also the first MSX1 and the first cartridge game for this videochip. In this forum thread the development of the game is being discussed. As it is still WIP you are free to join in the conversation and maybe even add some valuable comments to it which could lead to an improvement of the game as it's happening. You can watch a YouTube video right here.